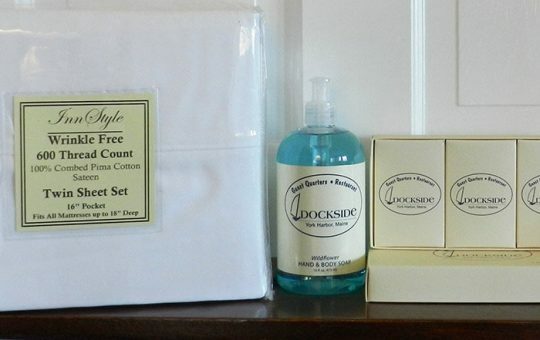 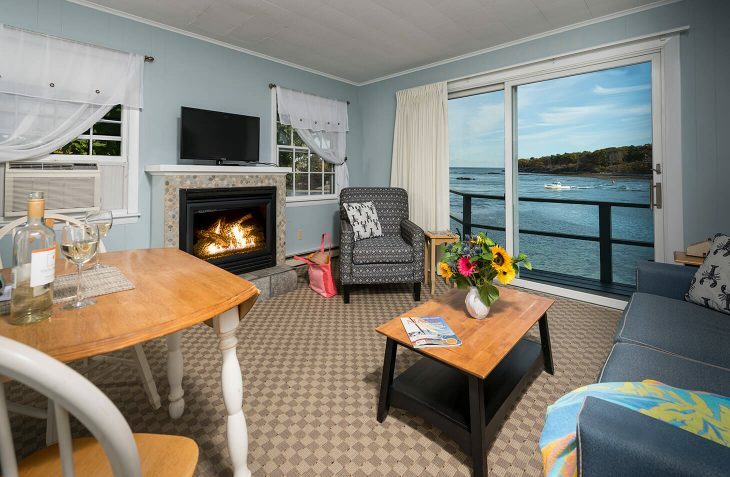 This second floor suite, located in the Crow’s Nest building, offers the finest lodging near York Beach, Maine, with breathtaking harbor views. 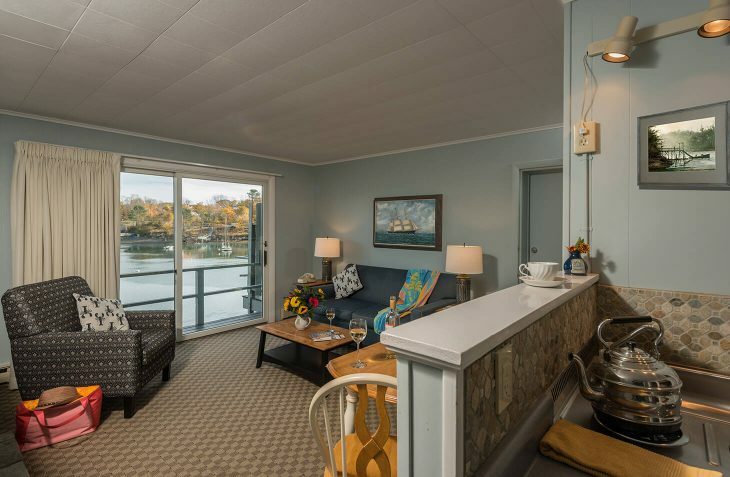 The spacious living room offers a cozy gas fireplace, pullout sofa, and convenient kitchenette with a dining table. 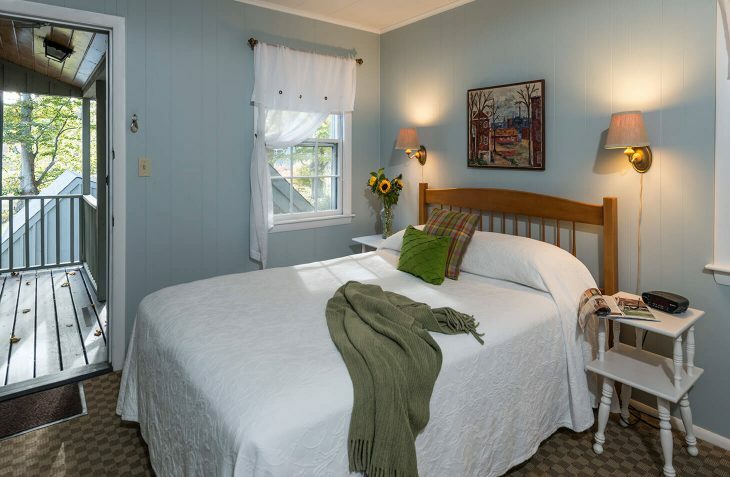 The comfy queen bed is just steps away from your private bathroom and your private view deck.